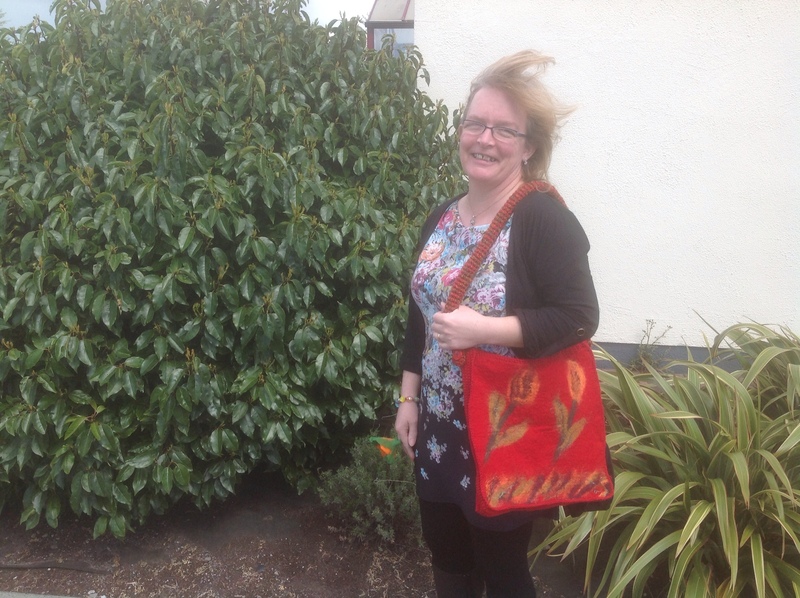 Six week online eco printing workshop is launched! Woo Hoo, it’s definitely a red letter day here at Clasheen!!! I’m delighted to announce that my first ever online workshop was officially launched on the web this morning, the title is ‘Eco printing, an intensive foundation for successful results‘. From gathering the necessary tools and equipment to experimenting with different processing methods, over the course of six weeks I hope to guide participants beyond the basics and encourage them to experiment for themselves. 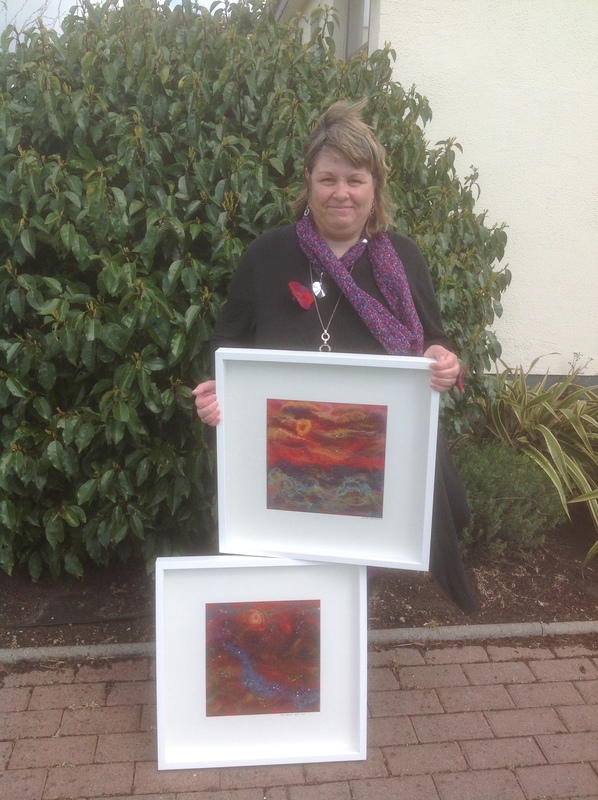 Suitable for total beginners but hopefully with plenty of tips and ‘ah ha’ moments for the more experienced textile artist too, extras include printing on paper, an introduction to printing up-cycled clothing and one simple method for printing on cellulose fabric! Please note, this first online workshop is offered at a once off reduced price of $160 and limited to 50 participants. 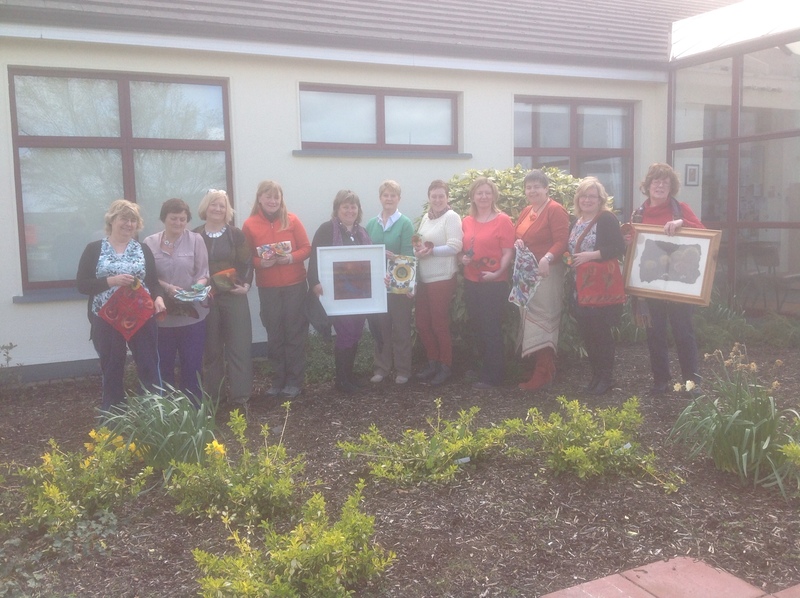 This special offer is to say thanks in advance for optional feedback and the first group of participants will also have the opportunity to avail of a discount for the follow on workshop, eco printing on cellulose fabric and up-cycled clothing. Sign up has been wonderfully brisk already. Thank you so much to everyone who has taken the decision to put their faith in me, I hope you really enjoy our journey together! Please feel free to email me personally if you have any questions. 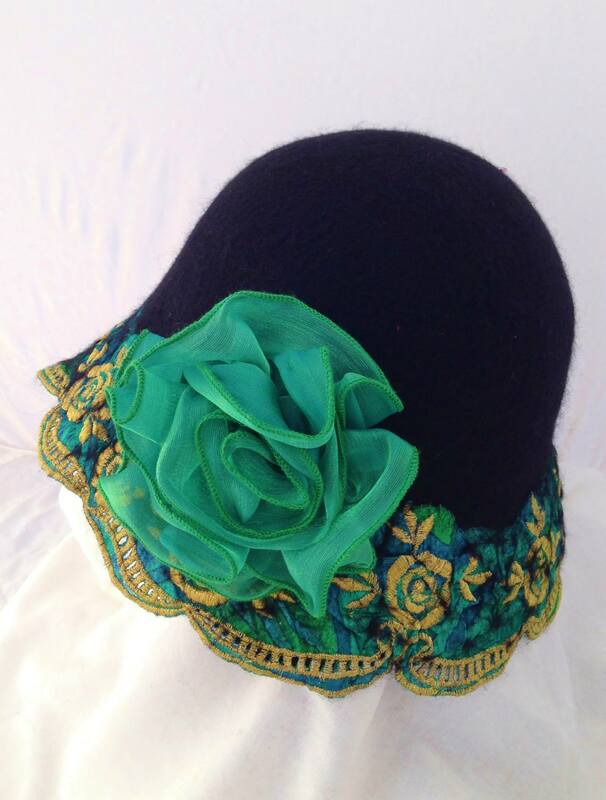 More Fantastic Nuno Felt Hats with Dawn Edwards! I’m delighted to announce that Dawn will be teaching a second day of her ‘Fantastic Nuno Felt Hats in April, please click here to view the online class description and email me asap if you’d like to book your place!!! Just to remind you what one of Dawn’s nuno felt hats looks like here’s a picture. Isn’t this an absolute beauty??? I’ll have a selection of goody bags available to purchase on both days, these will have a selection of stunning beaded, sequinned and printed silk to include in the hats so for those of you not having this in your stash, don’t panic! Beautiful naturally printed/dyed scarves in Lexington! Yesterday evening I had a lovely time sharing the technique of natural printing/dyeing on silk with some members of the Lexington Fiber Guild. 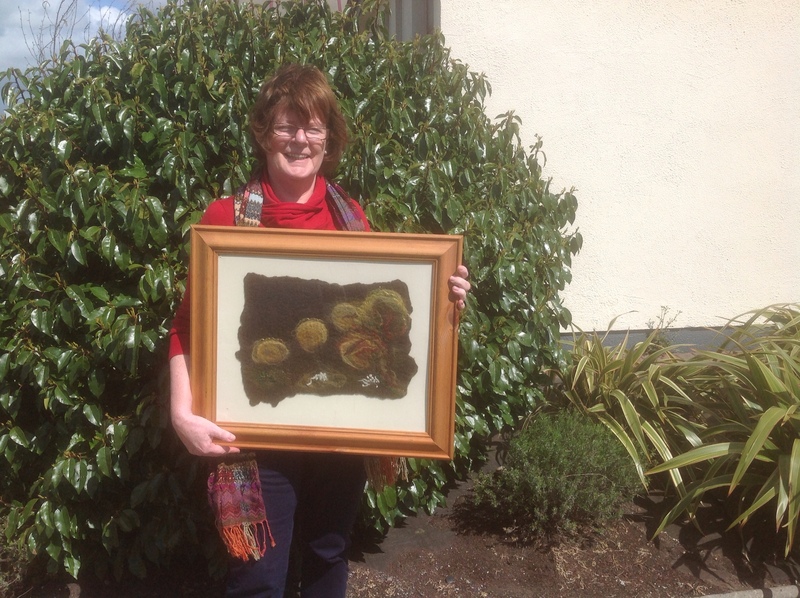 We met in Jan's house late in the afternoon, by half past eight everyone had created a really beautiful scarf coloured with a selection of eucalyptus leaves, tea, onion skins and rust. I know that some purists would say it's necessary to leave the bundles simmering for longer but although some participants initially intended doing this they too ended up joining in the unwrapping! 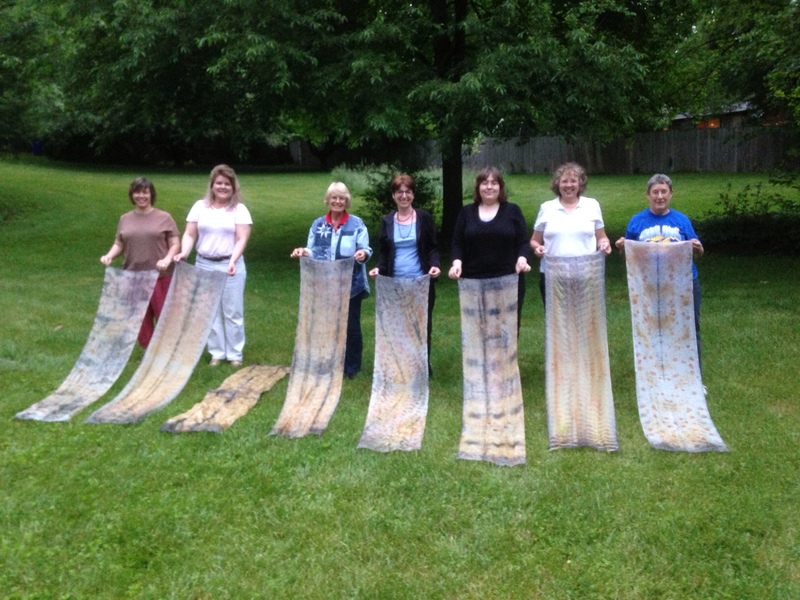 Here's a picture of the beautiful scarves after they were revealed. Next post I'll blog about the marvellous things being created during the two day Lexington workshop, brilliantly organised as usual by Jan! Alpaca and silk nuno felt shrug/wrap, one final picture before I finish my packing! I wanted to take some pictures of my latest shrug/wrap before I packed it away but it's so windy here today that I could only photograph it worn one way. It wouldn't oblige and stay put to show it worn as a shrug but here's a shot of it pinned with a vintage pin I bought (on one of my Goodwill forays with Dawn!) just to give you a little idea of how it finished up on Friday. This is one of the pieces I've felted using some of Roo and Elizabeth's beautiful alpaca locks, I'll be working with them in my nuno workshop at the KSFF and sharing the technique used here (tumble dryer method) in MI, KY and CA, details on the workshop page for anyone wanting to make a last minute booking! My bags are packed, I'm ready to go…….. almost!!! 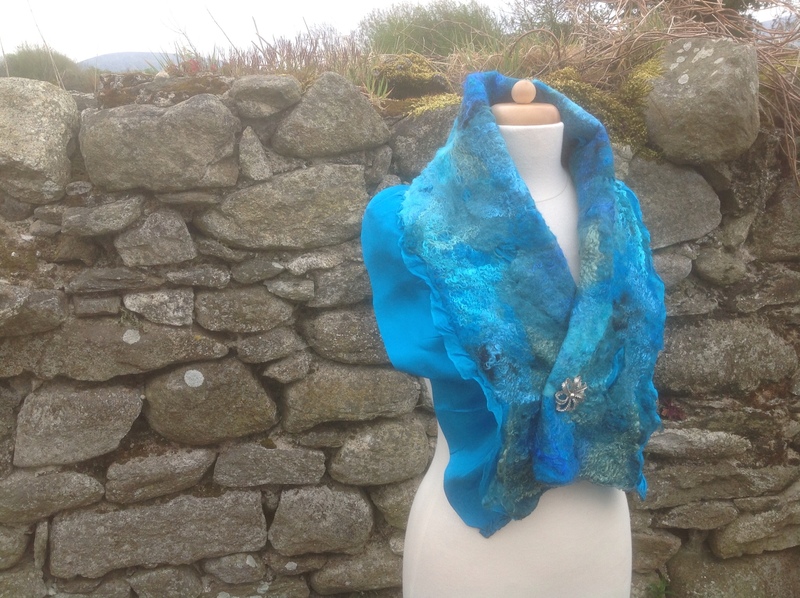 It's hard to believe that this day next week Dawn and I will be well relaxed and fully prepared for some wonderful days of felting and natural dyeing, check out the workshop page for full details of this two day workshop. There is one spot left I think so if anyone would like to join us please don't be shy, email Dawn and she'll answer any last minute questions! I've laid out my clothes on the bed in the spare bedroom, my hair is cut and I've even had a leg wax this evening, tomorrow morning I start to felt the last of my samples to bring to the US next week. I'll also have a saucepan on the go to cook some more natural bundles, thanks Brid for the big bunch of eucalyptus leaves, I can't wait to see if they give me some good prints! I'll try to post a few pictures of the work in progress to Facebook as I go along, fingers crossed nothing gets in my way because I really need to get these samples in the bag, excuse the pun! My last Irish workshop before I travel took place this morning, this was with a wonderful new group of ladies in Bagenalstown, the first of two sessions we'll be having together. 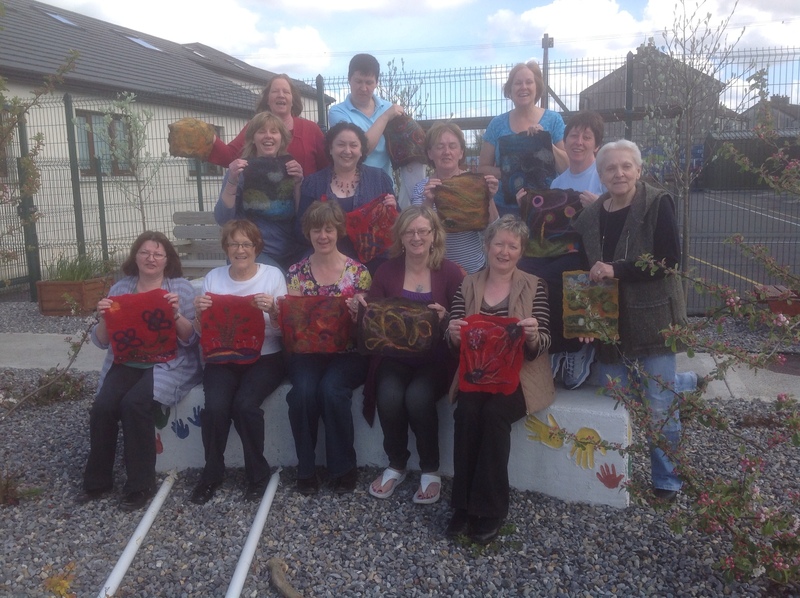 Isn't this a lovely picture of them all with their finished felt? 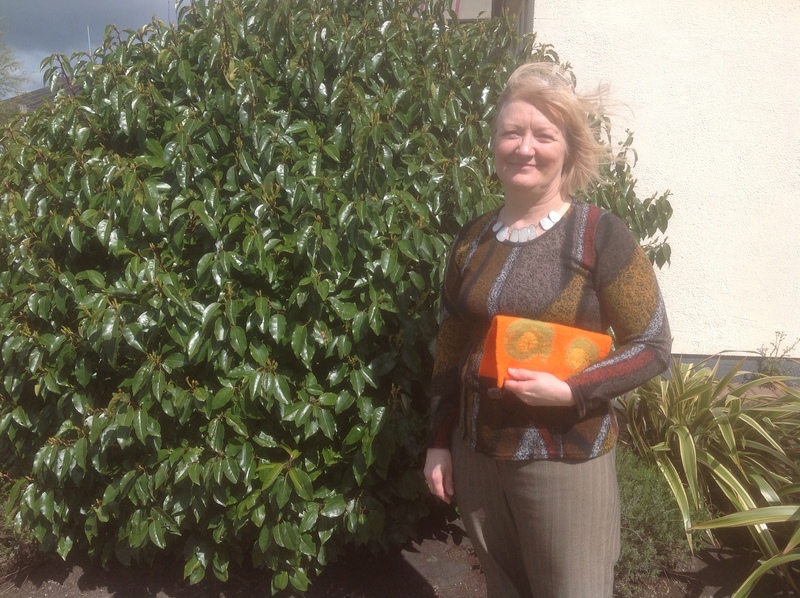 Next time we'll be making flowers and already they are planning to visit Duckett's Grove after this and participate in more sessions later in the summer. I'll also post before and after pics of their first flat felt pictures to Facebook tomorrow, for now it's a glass of whiskey then bed! Goleir Group, final pictures of stunning felt! I've posted quite a few pictures of the work created by the Goleir Group over the last four Mondays on Facebook but here are just a few to whet your appetite. The ladies were amazingly creative and the quality of their felt was super, beautiful work and such a fun group! Thanks Ann and Celine for all your hard work putting the sessions together, do head on over to check out the rest of the finished pieces. On Sunday I promised to update you on all my upcoming May workshops in the States, today I’ll start with the wonderful Tin Thimble in Loomis CA, next post I’ll be writing about my workshops with the marvellous Dawn Edwards in Plainwell MI and the final post of the week will be about Lexington KY where I’m staying once again with great friend Jan! You’ve probably guessed by now how much I’m looking forward to this trip by the number of superlatives and exclamation marks in recent posts, forgive me if they seem a bit excessive but I am so excited to be heading back to stay with Dawn, Jan, Emma, Sharon and Mark!!! 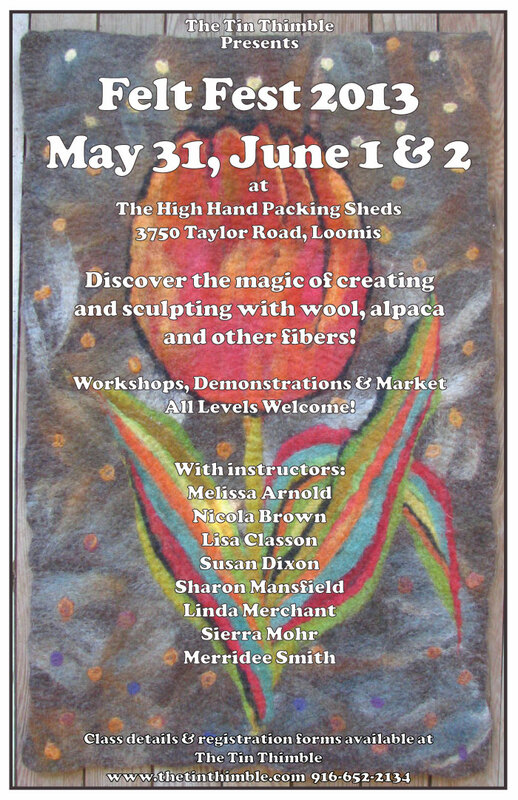 This is the first time that I’ve actually managed to time my visit to The Tin Thimble to coincide with their annual fibre extravaganza, as a result I’m delighted to be included in the line up for Felt Fest 2013. I’ll be facilitating three full days of workshops with individual topics each day, obviously participants attending for 2 or 3 days may expect to tackle larger and more challanging projects over the duration of the festival. Full details of all the workshops are on The Tin Thimble’s website, I hope to see you there!!!! !